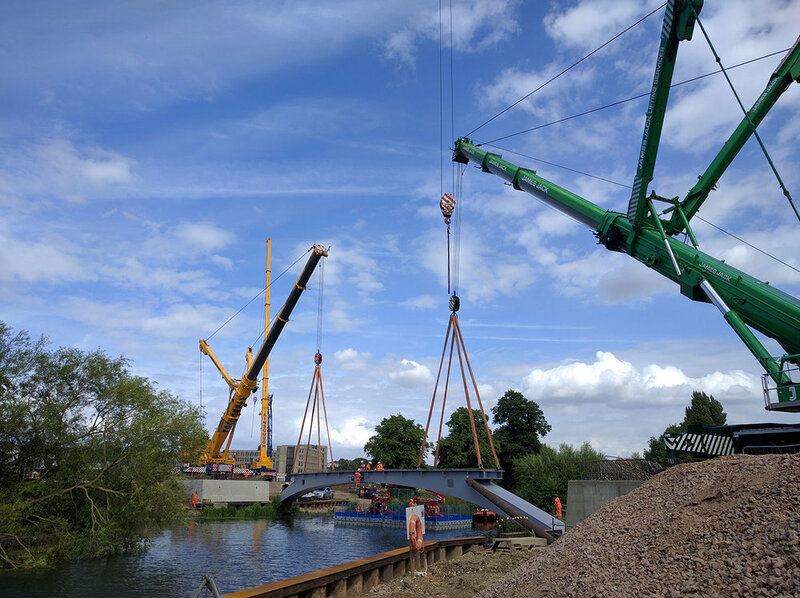 We have collaborated with CUH2M and Smith and Wallwork engineers to design two new river crossings connecting the new Waterside Campus for the University of Northampton with the town centre. A road bridge links the campus to the west to Bedford Road whilst a pedestrian and cycle bridge connects the eastern side of the campus directly into Beckets Park and the town centre. 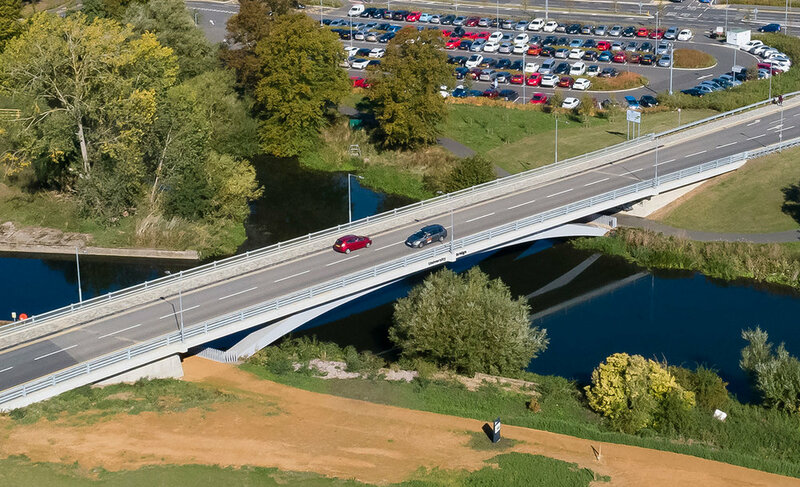 The road bridge carries the main road in and out of the campus with pedestrian and cycle ways and has a single, shallow, tapered steel box section structure across the River Nene with short back spans over the riverside pedestrian and cycle paths on both banks. Both bridges have been completed ahead of the campus opening in 2018.